With the first night of the HBO Bryant Park Summer Film Festival just days away, here's what you'll need to know before heading over to the park. Sitting on the Lawn? Bringing a bag? For the protection of all Film Festival attendees, there are changes to how you access the Lawn Area (the grass and surrounding gravel areas). The gravel area surrounding the Lawn opens at 3:30pm. UPDATE 6/28/10: The gravel area surrounding the Lawn will open at 4pm for the remaining Film Festival dates. 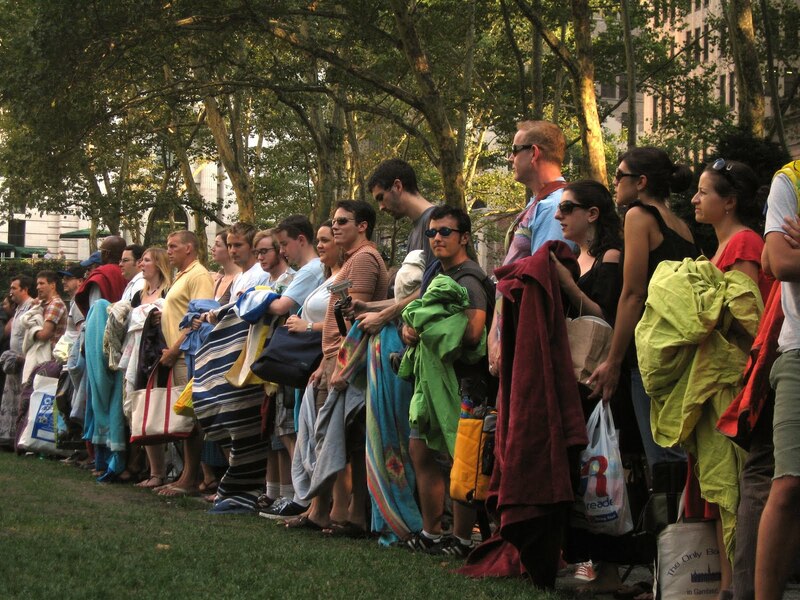 The Lawn opens at 5pm, as usual, for blankets and picnicking. Entry to the Lawn Area is only permitted at the 6th Avenue side of the park (near the movie screen). All packages, bags, backpacks, etc. will be inspected. There are two entry points on each side of the Fountain (north and south sides). Each side has two entry points: one for those with packages, bags, etc. and one for those without. Should you leave the Lawn Area, all packages, bags, etc. will be inspected again upon re-entry. (sitting on plastic creates brown spots on the grass). Ice should be emptied into park drains at the end of the film. A free bike parking area is located inside the park at 6th Avenue and 41st Street (at the Petanque Court). Dine al fresco and pre-order a picnic from 'wichcraft on Film Festival nights. Call (212) 780-0577 or go to wichcraftnyc.com to place an advance order, then pick it up at the sandwich kiosk in the park. Want to know more about the films? Film connoisseur and professor, Scott Adlerberg, will be on hand at 7pm every Monday in the Reading Room to give you an inside look at each week's classic movie at Word for Word Reel Talks.